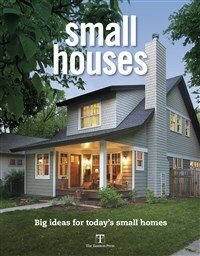 In this new collection of small houses from Fine Homebuilding magazine, the authors look at houses both new and remodeled, traditional and modern, urban and rural, by the water and in the mountains. The houses exude as much style as homes many times their square footage, and all are as big as they need to be to fit the lifestyles and aspirations of the people who live in them. With the growing popularity of small, micro, and tiny houses, it's no surprise that the average house size is actually trending smaller in recent years. All contributing authors are seasoned professionals whose articles have appeared in Fine Homebuilding magazine. Since 1981 Fine Homebuilding has been providing information and inspiration to everyone who cares about quality home improvement and construction. the magazine is the best source of home improvement information and helps readers build projects better, faster, and more efficiently.